Recovery period after the surgeries and injuries covers possible major problems for the patient, patient owner and veterinarian. In this period, the wound should be protected from the patient itself and other external factors. It is the primary ethical responsibility of veterinarians to ensure that the recovery period is comfortable and uncomplicated as far as possible. Incorrect management of the process causes serious metabolic and psychological health problems for the patient. Frequently, the time for recovery and return to normal life prolongs and leaves persistent marks on the patient’s body and spirit. Prolonged recovery period is the cause of unnecessary leaves, stress, fatigue and extra costs for the patient owners who feel the pain and suffering of their friends in their own heart.Incorrectly managed processes is loss of prestige for the veterinarians and also sometimes, it is the legal-conscientious responsibility for losing their patients. For all these reasons; different techniques have been developed to prevent the patient from damaging the wound after operations till today. In order not to open the wound line larger than normal during the operations, the veterinarians have to perform even the difficult operations from very small areas. Instead of the classical sutures after surgery, they developed different suturing techniques that would be difficult for the patient to detach. However, all these techniques require professional experience and hand skill. Patient or the Patient Owner may not always meet with experienced veterinarians having qualified hand skills. 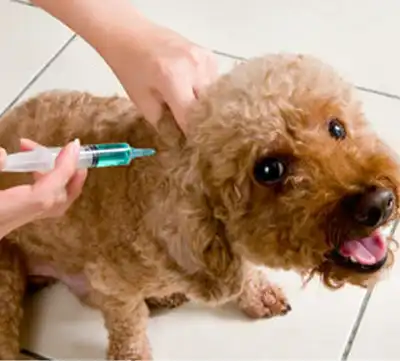 Apart from them, the patient cannot be usually delivered to his/her owner at the end of 24-48 hours, which is the critical observation period. They have to complete the recovery process at the clinic instead of being at home. On the other hand, in the operations with longer recovery periods, classical methods are used, which trigger the feelings of depression and anxiety and causes serious discomfort and suffering for the patients and impairs their life comfort completely. It is the most known and preferred method around the world. It can be described as an inverted cone placed to the head of the patient. The patient has to live with this cone during the recovery period. However, even the most peaceful patients cannot adapt this apparatus not later than a few days. Many patients insistently want to take this apparatus out and thus, insist on. The use of this apparatus for 30 kg and over patients is usually problematic and it breaks frequently. If the patient is skillful, it can remove the apparatus. For the injuries on the forepaws, it generally does not work. 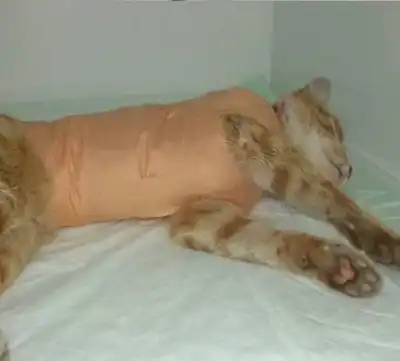 Some of the patients try to scratch their wounds with their paws despite the collar and the wounds under the abdomen may also need to be put dressing sutures and bandaged against the risk of herniation and infection. 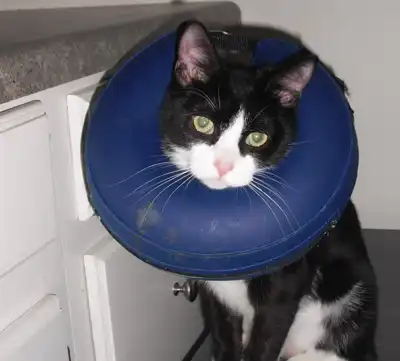 Apart from these, the patient often scratches the head and neck region with its paws due to the discomfort given by the Elizabethan Collar. In this area, injuries and dermatitis may occur together with irritation. Long adaptation period is a reason for stress in the patient. The recovery process usually prolongs as the body's resistance is lost and the diet is irregular due to depression. 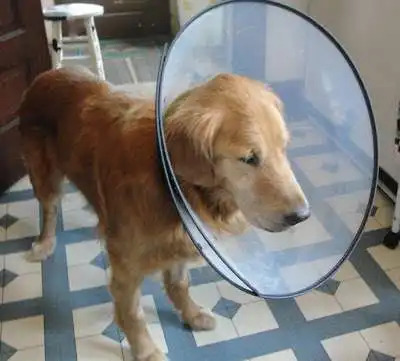 It is a product similar to the Elizabethan collar. It likes a lifebuoy that is placed around the neck of the patient. It is more comfortable than the collar. However, all the problems encountered for the collar are also present for the buoy. 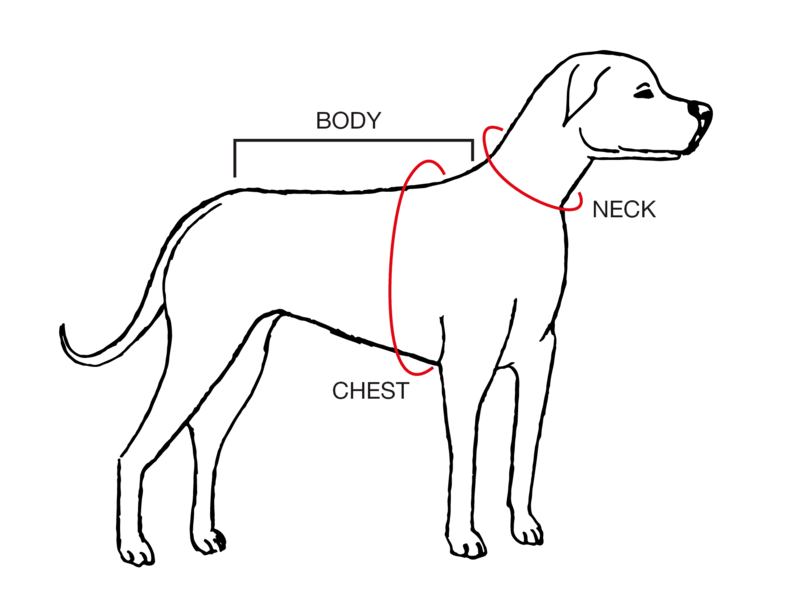 It is a method used in long-nosed dogs in order to prevent the patient from reaching the wound. In this context, the muzzling of the mouth, placement of a mouthpiece, or the restriction of mobility of the patient's head by providing a very short connection can also be regarded. 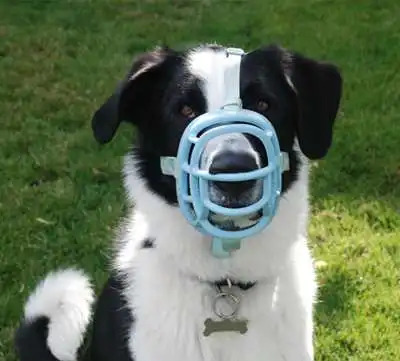 However, the patient cannot eat and drink water while the mouth is muzzled. Additionally, the patient requires a caretaker or a sitter throughout the recovery period. In this method, the sitter should watch the patient throughout the feeding period. It is quite hard to use this equipment in aggressive and wild patients. It is a method that is commonly used at clinics and shelters. It is frequently used for wild-aggressive, large-sized patients and wild animals. In a narrow cage, a patient, whose movements are restricted, cannot reach the wound. However, the patient has to complete the recovery period in this way. The process is quite distressing for the patient. Generally, the wound healing prolongs due to depressive behaviors of the patient. In patients who stay in narrow cages for a long time; weakness, atony and deformation in the muscles as well as decubitus (Pressure Sore) may develop. It is produced from hot pepper sauce. It is used by spraying on or around the operation area. When the patient wants to lick the wound, it gives up licking the wound due to the bitter taste. 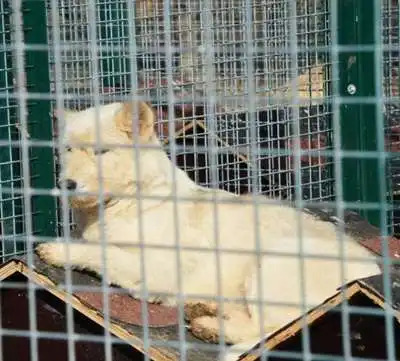 However, spray-induced burning causes the patient to scratch the area with its paws insistently and to rub against the environment. 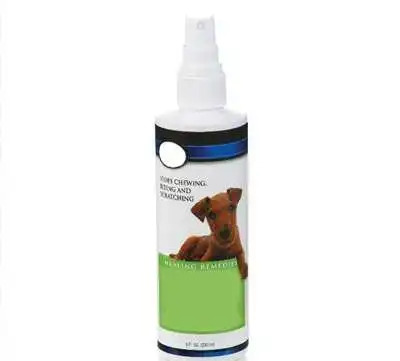 In addition to them, the bitter spray sprayed on the wound irritates the wound and delays recovery. It may cause permanent lesions on the wounded area. It is not a highly preferred method. It is a method used especially in wild and aggressive patients. During the recovery period; ataractic agents or sedatives are administered to the patient. It is known that these drugs have strong side effects on the Central Nervous System, Circulation and Urinary System and the liver. Anesthetics and sedatives are compulsorily used during the operations. However, they should not be preferred when there is no too much need. Patients to whom sedation is continuously administered cannot eat regularly. They display depressive behaviors. This situation highly delays the recovery period. It is the most preferred method especially for the injuries occurring in the paw region. Bandages are also applied against the risk of herniation after major operations performed under the abdomen. 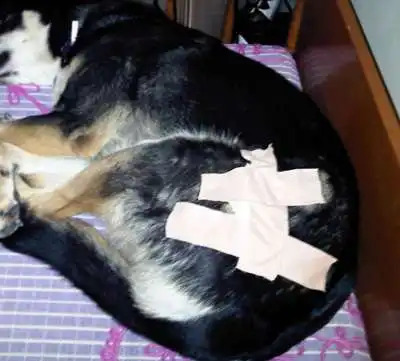 However, the recovery period in the patient treated with bandage cannot be controlled very much by the veterinarian. Taking out the bandage daily and the dressing of the wound are a big problem. In the injuries in the paw region; tight wrapping of the bandage causes regional circulatory orders and also loose wrapping of the bandage results in its removal by the patient. Since wound ventilation cannot be provided in the injured area under the bandage, there is always a risk of infection by the microorganisms growing in an unventilated environment and the recovery period generally prolongs. It is used to prevent the patient from damaging the muscle-skin sutures after the operations. The buffer, which is placed in the region with the suture, also allows the drainage of the discharges in the operation area by absorption. However, it is not enough alone to prevent the patient from reaching the wound. It is compulsory to use this method by combining with other alternative methods. Subscribe to Our mail Newsletter Now!